Colorado Springs City Council has approved a lease of D&RG 168 by the Cumbres & Toltec Scenic Railroad for the purpose of full restoration to steam. It was initially proposed to the city in October and surprisingly--Nathan Holmes of DRGW.net called it "a rare moment of sanity and agreement"--they accepted. 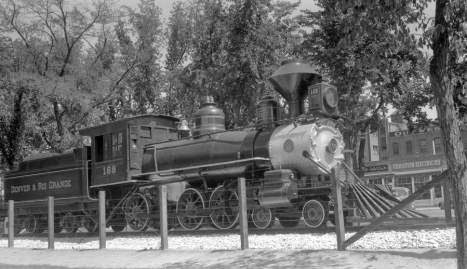 The Cumbres & Toltec Scenic's eventual success in restoring D&RGW 463, one of two surviving Mudhens, probably influenced the council's decision. 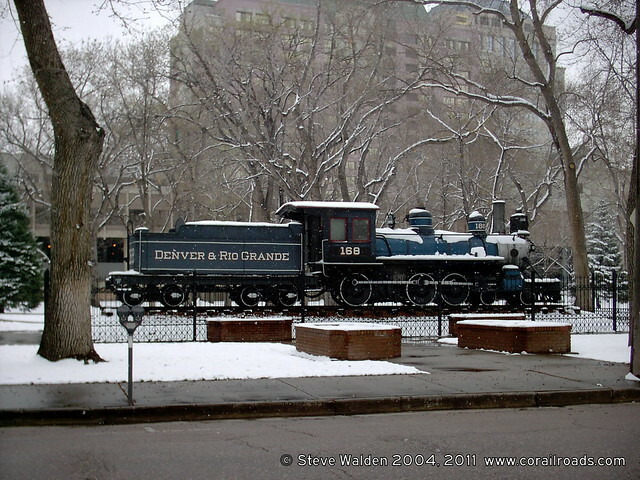 Rio Grande 168 rests placidly under a thin blanket of snow on April 10, 2004. The 168 is one of two surviving T-12 class narrow gauge ten-wheelers purchased by the Denver & Rio Grande Railroad in 1883 by Baldwin Locomotive Works in Philadelphia. The Rio Grande, having spent the previous two years in a frenzy of expansion needed a number of new narrow gauge locomotives to service the new lines. The other surviving engine, 169, rests in Alamosa, 30 miles north of the eastern terminus of the C&TS at Antonito. The city will lease the locomotive to the railroad for 3 consecutive 15 year terms. This is inclusive of the time to take it apart and fully restore all parts that have corroded or wasted in the 77 years since it last saw service. The locomotive last saw a full cosmetic restoration completed in 1984 and has received periodic upkeep. 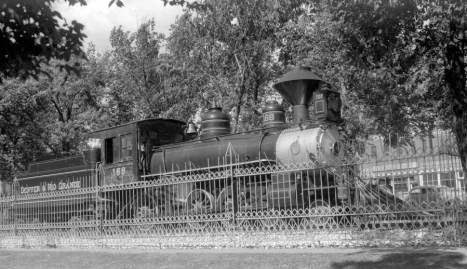 As it has occupied the same location for nearly 8 decades, the locomotive's static display predates most buildings downtown. all that's changed in less than 4 years? Most of the buildings, that is, with the exception of the Colorado Springs D&RG Depot, located across the street from Antlers Park. The close proximity of two of the oldest artifacts of Colorado's most extensive railroad has often resulted in their pairing in presentation in promotional and tourism material. The depot had for years served as a restaurant until a change of ownership and subsequent mismanagement forced it to close in 2011. * On a personal note, this was one of my first digital photographs since 1997.